Here are some tourist attractions around the Hotel. From the ancient temple to the leisure facilities, memorable rest spots are popular. Ancient temple of the distant city that communicates the history, culture and faith of the Okuhamana ko lake region over 1300 years. 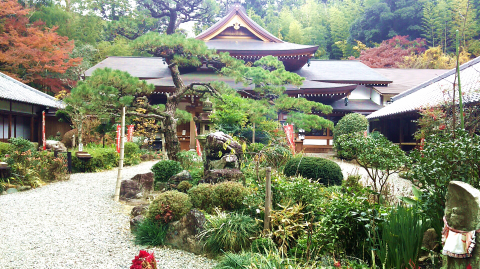 Jiro, a temple where Ii Naotora sleeps. 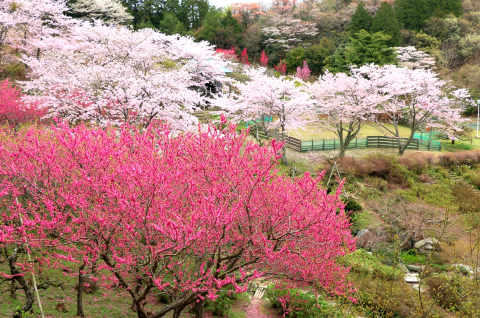 "Tourism Botanical Garden" where you can enjoy various nature every season, Okuyama Takahara. There is free parking lot (20 large buses and 200 passenger cars). 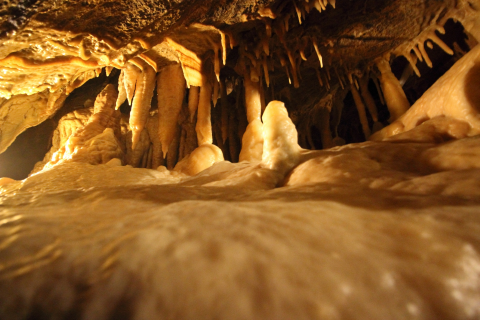 Experience the mysterious underground world! 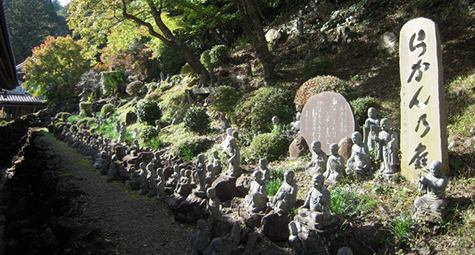 Among the Zen Buddhism, it constitutes Rikkyo Houkouji temple school, and it has collected thick faith as its headquarters. 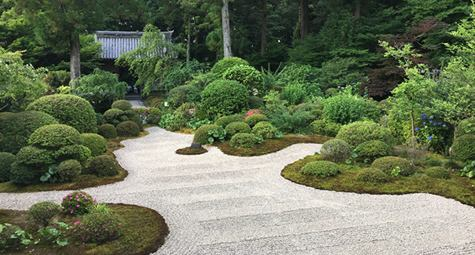 Beginning of the nationally designated important cultural property Takarabayashi Temple. Edo (time period) early Edo (time period) 1664 (Hirofumi 4) year, he was the second generation Kanazashi Fumi Kondo family owner, Yuyunosuke (for squirting rice cake) It was invited by the public, The temple. Shinto gods"Mr. Munenaga imperial prince" was shown by the 4th prince of the Godaigo Emperor Imperial Household Agency survey, and since about 650 years now, as a Ippon Nakatsukasakyo Seito Shogun Northern and Southern Dynasties Period the turbulent Northern and Southern Dynasties Period Ippon Nakatsukasakyo Seito Shogun Based on this land for over 50 years, I was active for the Yoshino court side. 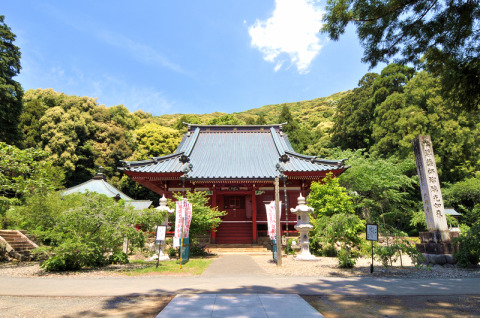 Temple Myeyaji Temple (Makayamaji) where you can meet the Buddha of the ancient times was retired as Shin Temple by Shinkansen Bodhisattva 3rd year of the Kamikaze (726). 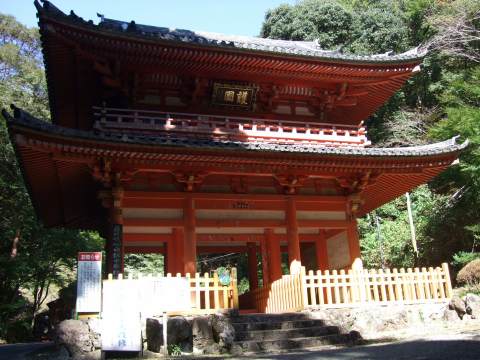 Approximately 1, 150 years ago (875 Tadahashi 17 years) from now, when the superior of the priest samurai retired as a Hanji temple in Buddhist monk and moved to the current location in 1207 It was renamed as Daihukuji temple. It is an agricultural park wrapped in nature that cultivates 4300 fruit trees of 160 species on the site of 9 Tokyo Dome sites. 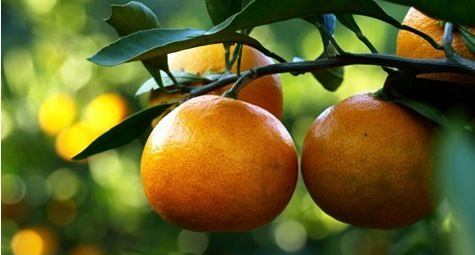 We can harvest fruit harvest and strawberry hunt and observe how temperate and tropical fruit grows up close. Kaga 's Seki is established by the Tokugawa shogunate in Keio 6 (1601) to monitor this slope, and it became an important base for Edo with Hakone, now cut (New Year' s). 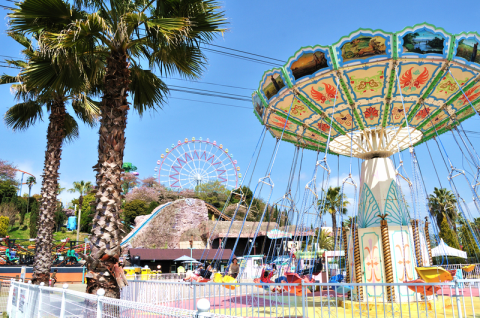 Resort type amusement park in Hamanako lakeside. There are 35 kinds of attractions and you can enjoy small children and adults. 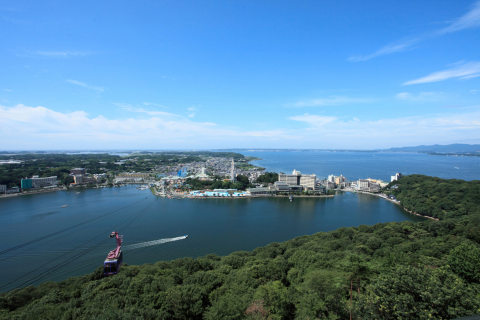 From the park, the Kanzaiji Ropeway also departs and will guide you to the Lake Hamana-ko Music Box Museum / Okusuyama Observation Deck. 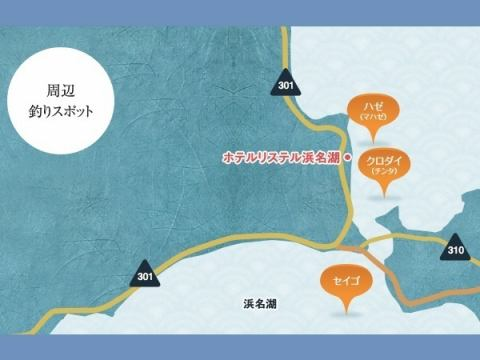 Why do not you enjoy the scenery spreading at 360 degrees at popular indebted spot "Kanzanji Ropeway" recommended for date and leisure in Hamamatsu in Shizuoka? Please enjoy driving, going out to the Lake Hamana-ko. 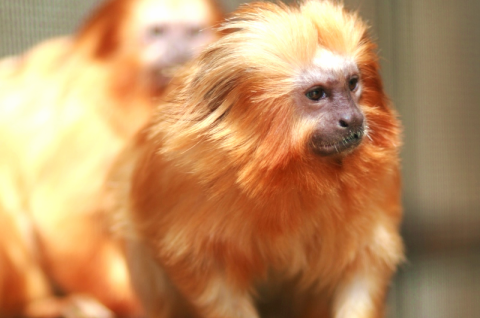 More than 100 species of animals are raised.Among them, Golden Lion Tamarin which is the only place in Japan only Hamamatsu City Zoo is a must-see! Various events are taking place. 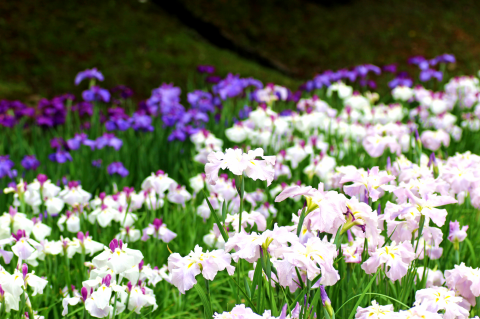 Hamamatsu Flower Park is a botanical garden where you can enjoy various flowers and greens every season. There is light up of fountain show, it is very romantic. 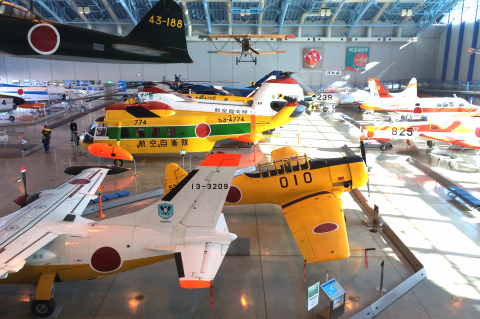 Japan Air Self-Defense Force, Hamamatsu Kouhou-kan is a facility created to make everyone understand the Air Self Defense Force.We also have exhibits of fighter aircraft and accessories, simulator and full celestial video theater. 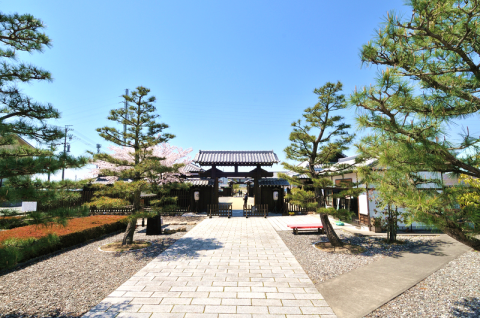 Located on the lake side of Lake Lake Hamana-ko, you can enjoy various plants every season "Lake Hamana-ko Garden Park". 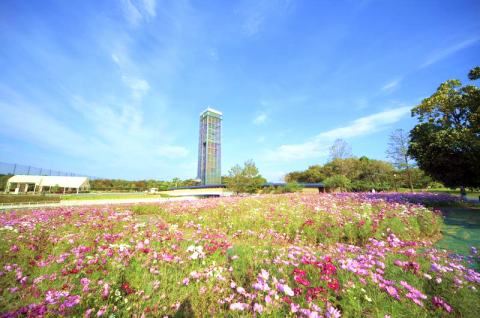 As well as appreciating plants, there are observation towers with a height of 50 meters, a pleasure boat Garden Cruise that operates waterways, a lawn open space, and a playground square. 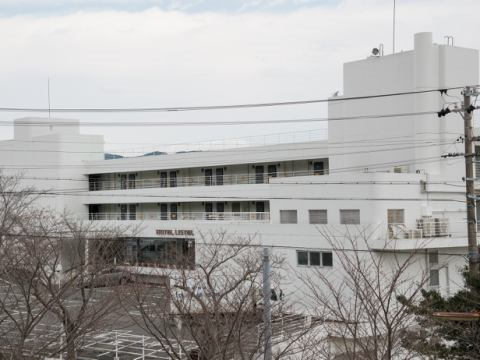 In Nippon Seijiki, the only one currently existing in Japan that cracked down in Japan, the former is now off (far from the current location on the Enshu Nada side).Horinaga 4 year It collapsed by the Honaga earthquake in 1707, and was rebuilt in the present place the following year. 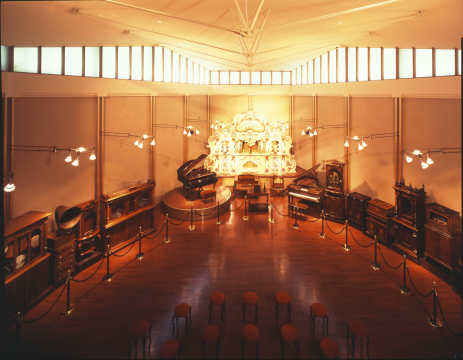 As the nation-designated special historic site still maintains the same appearance as before, a lot of materials on Niito-cho and Shin-osago are exhibited in the adjacent Seki Material Museum. 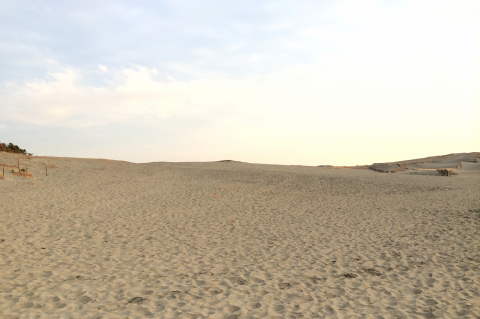 Entering Japan's three fingers, the vast sand nature spreads in the Chubu region. It shows various kinds of faces in the morning, noon, night, and the weather. For a moment, here is Japan? It is such a magnificent scenery as to cause an illusion. Lake Hamana-ko Music Box Museum is a museum of automatic musical instruments exhibiting antique music boxes about 100 years ago and automatic performance pianos, automatic playing organs, and automata, which are located on the ropeway that is the only lake in Japan. .
A music box demonstration about 20 to 30 minutes by a commentator who uses the exhibited exhibits can also learn the charm of the music box and the mechanism of the automatic musical instrument. 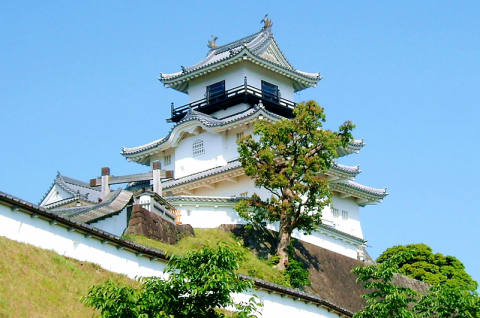 Kakegawa Castle, which was built in the Kakegawa Castle area of Tokaido, is said to be "Famous castle in Tokai" from its beauty. 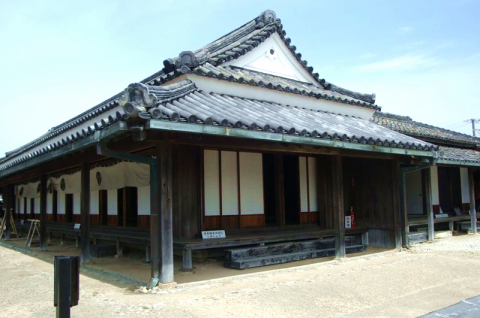 Only Kakegawa castle palace, Taiko-Yagura, Otemon bansho are existing, and the castle tower and the main gate were restored as it was in Heisei (time period) as it was. For drive, sightseeing and family service, go to "Kakegawa Kachouen".Ideal for date course on rainy days. 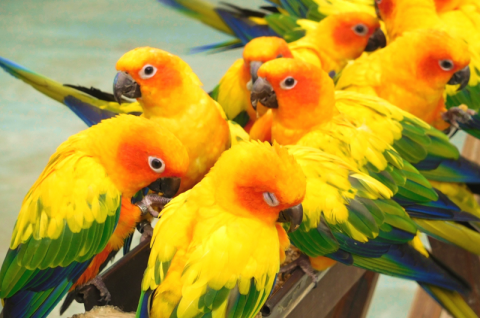 It is a theme park that you can play with birds 'owls, parakeets, penguins' in flowers in Kakegawa City, Shizuoka Prefecture. Aburayama Temple was reported as Founded by Gyoki priest of the Taiho The First Year of Taiho The First Year (701) line, the Tempyoshoho year of Tempyoshoho (749) Koken Emperor Okinaga "Ruri no Waterfall" supplementary praying Washed with water prayed From, it became the imperial temple of the Emperor. 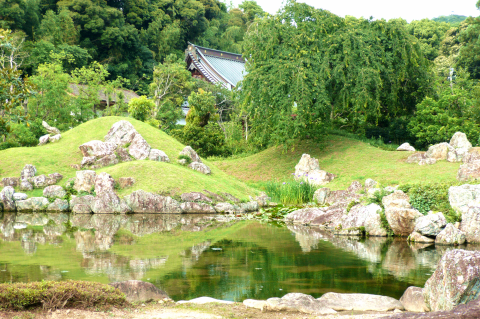 Kasuisai which is a Tokaido one Zen training dojo is an old temple engraving history of 600 years. Although it is a temple where many monks are practicing now, it is not a high threshold, it is also known as a flower sightseeing. 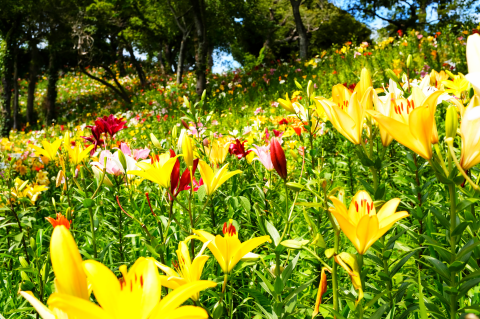 Kasuisai Kasui Yuri no Park spreading to 30 thousand pyeong on the east side of Kasuisai spread from the end of May to the beginning of July, the lily of 2 million balls worldwide. Kamo So Kachouen is an old Shoya house built in the Edo (time period)"Kamo So" and an iris garden spreading in front of the gate. Approximately 1000 species of 1,000,000 trees are cultivated and preserved from old flowers to new flowers. In the garden exhibition greenhouse, you will be pleasantly presented with original hydrangea and various other flower exhibits that have been improved many varieties. 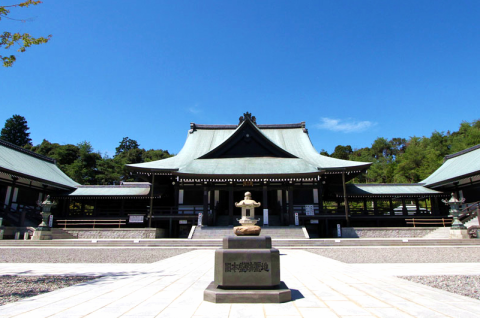 Oguni Shrine is a shrine located Shizuoka Prefecture Shuchi County Shimmachi, Shizuoka Prefecture Shuchi County Shimmachi.Gypsum is "Right Three Tomoe". 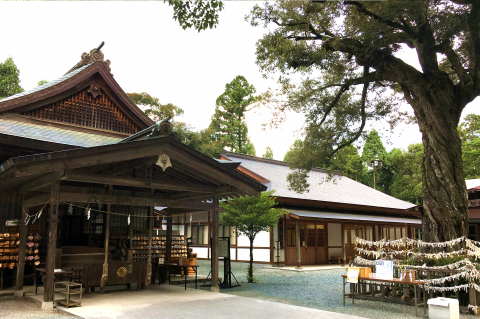 Shikinaisya shrine, Totomi Endoh.The former company is a Kokuhei-shousya shrine, and it is now an appendix shrine of the shrine head office. Nemu-no-ki Kodomo Art Museum exhibits unique pictures and glass works such as schoolchildren and children. Shizuoka Prefecture Fukuroi City of the tourist attractions of "Enshu San-zan, the three mountains", Shizuoka prefecture's most popular bustle will be shown for the New Year's visit and the seasonal event. There are more than 60 species in 180 tsubo, and the large Botannen where about 2000 buttons blossom opens. The garden 's buttons are in full bloom from the middle of April to the end of late April, and its beautiful and festive beauty will entertain visitors' eyes. Buttons are as beautiful thin as life The flower life is short, weak wind and rain, weak heat, so timing is important for watching. Ieyasu Tokugawa biggest doll decoration in Japan will appear in the Zuiyuukaku (registered trademark) registered as a registered tangible cultural asset in the Zenji / Kaesan related to Ieyasu Tokugawa public. 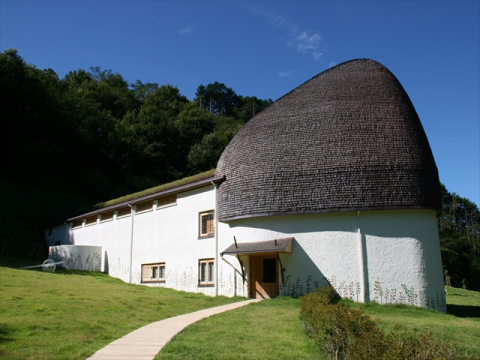 On the 1st floor of the same building, we also open the indoor peacock garden and during the time period events related to the festival such as exhibitions, gourmet and experiences are held. "Hiramatsu Tourism Aguris Hamana Ko (lake)" at the strawberry picking farm. The main varieties are the Princess Princess who features sweetness and large grains.It is delicious to tell spring to Lake Hamana-ko. 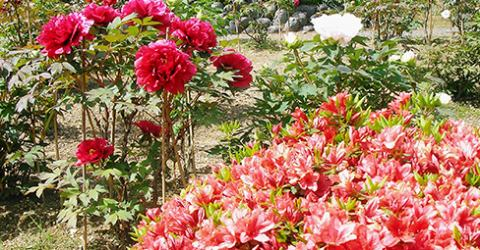 In addition to being able to hunt cherries from the beginning of May, there is also a contact market that delivers cut flowers, pot flowers, vegetables, fruits around Lake Hamana-ko in fresh, safe and cheap prices. 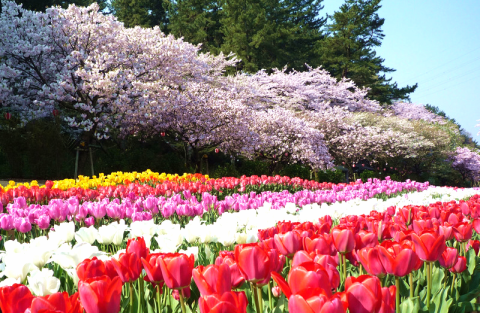 Hamamatsu Flower Park"Sakura and Tulip Garden"
The co-star of 1,300 cherry blossoms and 500 thousand ball tulips is masterpieces! Snow cherry light up floating in the night sky is also popular. Autumn Leaves Timing | Early December to Mid December, 9: 00-17: 00, ※It depends on the weather condition. 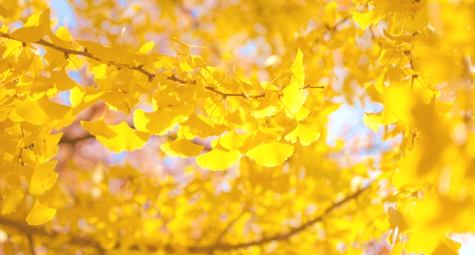 The autumn leaves of a ginkgo tree over 300 years old are a spectacle. 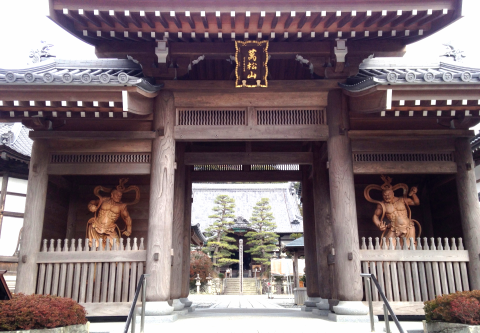 Approximately 1, 150 years ago (875 Tadahashi 17 years) from now, when the superior of the priest samurai retired as a Hanji temple in Buddhist monk and moved to the current location in 1207 It has been renamed Daihukuji temple. 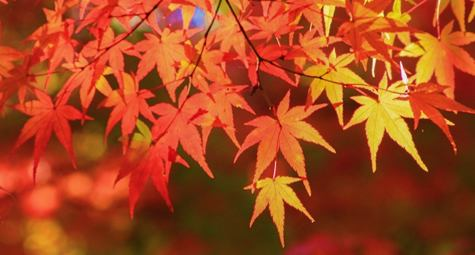 Autumn leaves period | mid-November to mid-December, 9: 00-16: 00, ※It depends on the weather condition. The autumn leaves of Chorakuji are colored with about 200 stocks of Doudonza and 50 maples planted in a migratory garden. 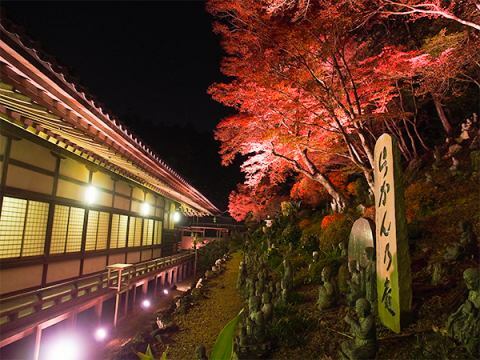 As the season changes, the view changes the taste, and it is a migrant named garden that is reported as Kobori Fushuna work that shows beauty in harmony with the stone struck.200 shares of Doudonza can enjoy autumn leaves in a calm atmosphere that can not be experienced in the city. In 1371, an unwritten elementary Zen priest (Mumemon kenshin) was a member of the Okuyama family who was ruling by the invitation of Juro Okuyama Jiro Asuo (Oyama Rokuro Yuji Fuji) 60 We donated land and building of town walk, and we opened Houkouji temple in here.During the evening of autumn leaves you can enjoy the lighted-up autumn leaves and nighttime special occasion. Please contact us in advance from mid-October to mid-December, 9: 00-16: 00. ※Souvenirs are only for adult rates. ※Tsuzusaki Tourism Information, bringing in a cooler bag is prohibited. 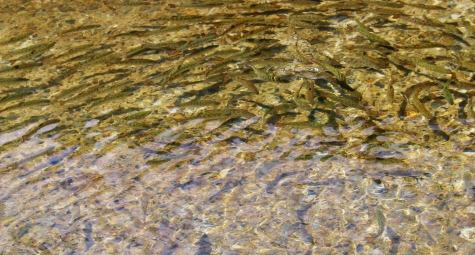 You can experience 'Ayu Tikimi' by the river near the Ryugashi Cave. ※Suddenly discontinued worship with events etc. Price | Aside from the usual Iriyama admission fee, special admission fee (200 yen for adult, 100 yen for junior high school students, free of preschool children) will be charged separately. 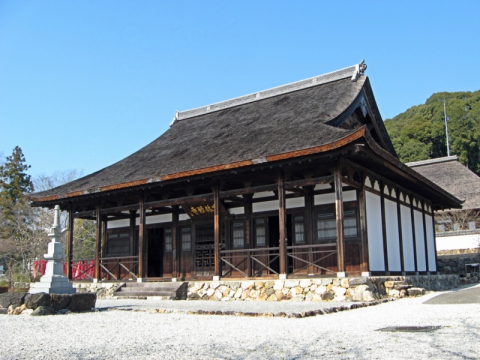 We will release the "Zendo" of Houkouji temple, which became the location of the big drama "The lady warlord, Naotora" for the first time.Zendo is a dojo that the monks practice for training the zazen, and in the drama the scene where young Jiro Kyoshi is trained will be filmed. Normally it is a sanctuary that is completely private.Please take a closer look at this opportunity. Please note that occasions may be canceled in a hurry due to events etc. It is a mushike stripping experience and a barbecue. 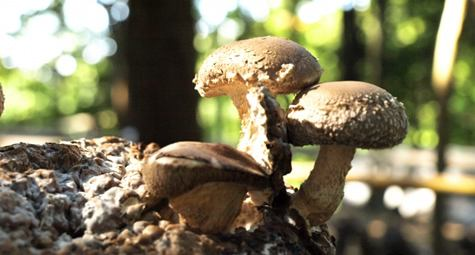 You should just peel off the mushrooms directly from the wood and eat it with barbecue with chicken and vegetables. It is rice, miso soup, vegetables, with chicken. (By appointment only) . When you love the late autumn of Okuhamana ko lake. 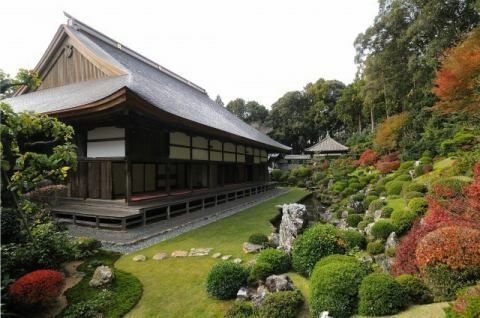 A beautiful garden of Famous temples The country designated scenic spot, where history and culture splendidly splendidly, the Ryotanji Temple Garden. 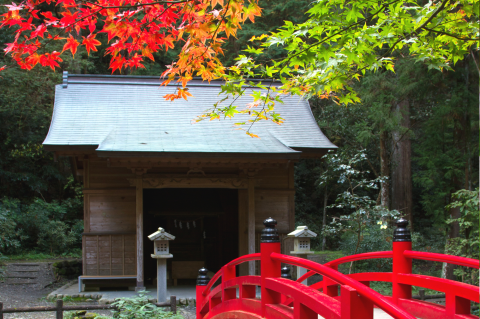 In autumn you can enjoy the beauty of the contrast of mossy garden stone and dull green of Aoshira, red vermilion reddish red. Treasures related to Ii Naotora will be exhibited during the period. 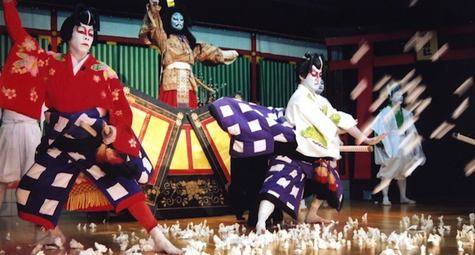 Rural Kabuki "Yoko Kabuki" with a history of more than 200 years cooperated with local people from the actors, shamisen, shakuhachi, dancing tools, wigs, Kabuki Shonen Association and Yoko Kabuki It is performed by preservation society. It is said that it began as an entertainment of the eight shrine shrines that is the father of Yokoo and the shrine festival of Rokkasho Shrine which is the shrine of Shiroiwa, and has been designated as an intangible folk cultural property in Shizuoka prefecture..
Because sea water is mixed, seawater fish can catch.In rare cases you can catch freshwater fish. For beginners, goby fishing is recommended.※Fishing fee is not charged. 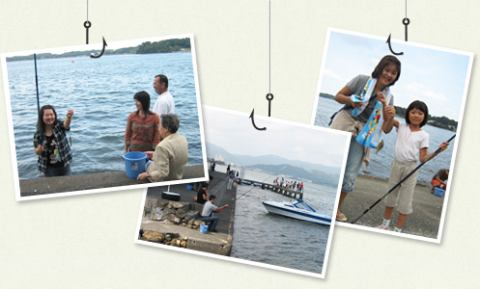 It is fishing information within the range that we can walk from the Hotel.